This mama is getting a new car! Okay, wait…let’s take a step back. It’s not like it’s happening tomorrow or anything, but it is closer to reality than it has ever been. I’ll give you some background on my hunk ‘o junk. Eight years ago – two weeks before my wedding – my brother’s lease for his Acura EL ended and I needed a car. I had given up my Toyota Corolla (which I loved), and was driving my father-in-law’s Toyota 4 Runner. So, while timing wasn’t optimal, we bought out my brother’s Acura. 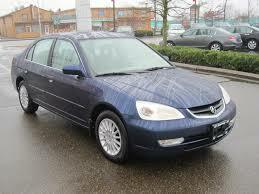 Let’s be clear, for those who don’t know what that car looks like, it is a Honda with an Acura symbol! Not fancy, not sporty, but a reliable vehicle that took me from point A to point B; with a few issues along the way. Shortly after we bought it, we replaced everything from the battery to the alternator and the brakes to the transmission. My favourite memory (note the sarcasm), was the day we signed our house. It was a cold January morning, I was six and a half months pregnant with my Little Bird, and we were on our way from the lawyer to the bank, with our cheque in hand. Every time my husband tried to make the left turn on the green light in a major intersection, the car wouldn’t go. It revved high and made noise and we knew the transmission was done. We eventually died on a side road and he had to walk to go get his car and come back and get his pregnant wife. That day changed the way I looked at that car forever. And eventually the car itself started to slowly give up on life. Its current state is rough, to put it gently. At over 200,000 kilometres, I have a cracked windshield, cracked bumper, ripped (leather) driver seat, heated seats that don’t heat up quite like they used to anymore and a passenger seat belt that you have to maneuver carefully to get it to buckle. Don’t worry, it does buckle, it just requires some finessing! Oh, and then there’s the windows. Both the front driver and passenger windows really shouldn’t be rolled down more than an inch, or they will fall out of the tracks and then it’s a nightmare trying to get them back up again. Ask my sister-in-law when she went through the drive thru at McDonald’s on a crisp October morning. It took her and her husband half the day to get it to go back up again. Now I have tape across the controls, so I remember NOT to open them. I have an engine light that comes on every once in a while, which I had checked out. They said it has something to do with some valve that’s loose. It’s not a necessary fix, they said and I am really not interested in dishing out another $600 to fix yet another thing in this car. It’s time, as one of my friends so gracefully put it. We need a new car. So we’ve been looking at small SUVs. We have narrowed our choices down and now we need to look into insurance costs and options, colours and all that fun stuff. The down side is I’m going to have a car payment again, but it’s worth it. The EL needs to go. And I need to be able to open my window when buying a coffee in the drive thru!